I love the 4th of July. It is such a fun time of year. The barbecues, the picnics, friends, family, fireworks and the list goes on. 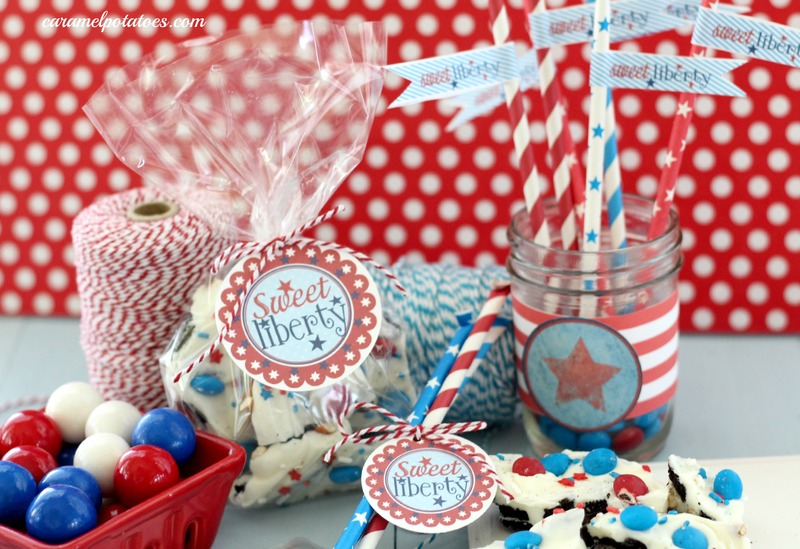 Plus there is nothing like the patriotic feelings that we share each year in July. Who doesn’t love cookie bark? 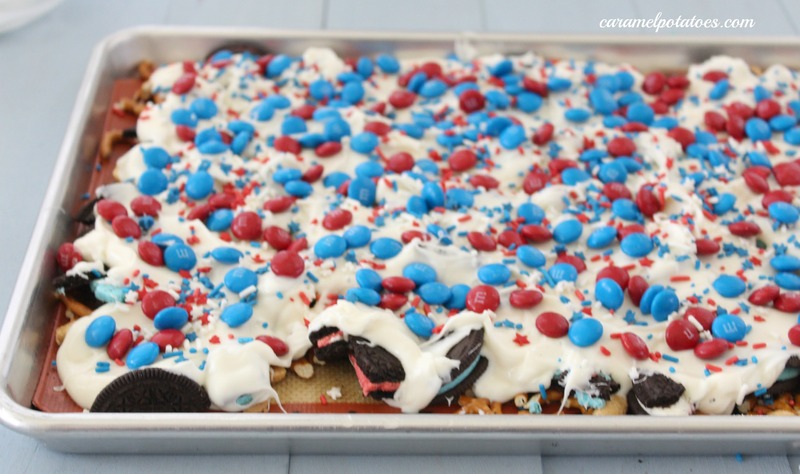 Cookie Bark is pretty much a classic, but here is a little twist to make it special for the 4th. 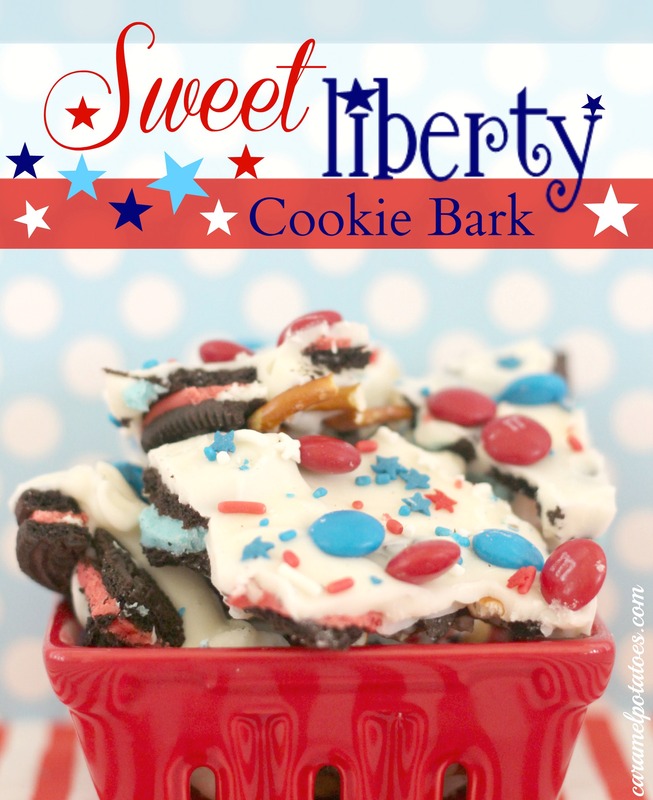 This Sweet Liberty Cookie Bark is all decked out in red, white and blue to celebrate the occasion. 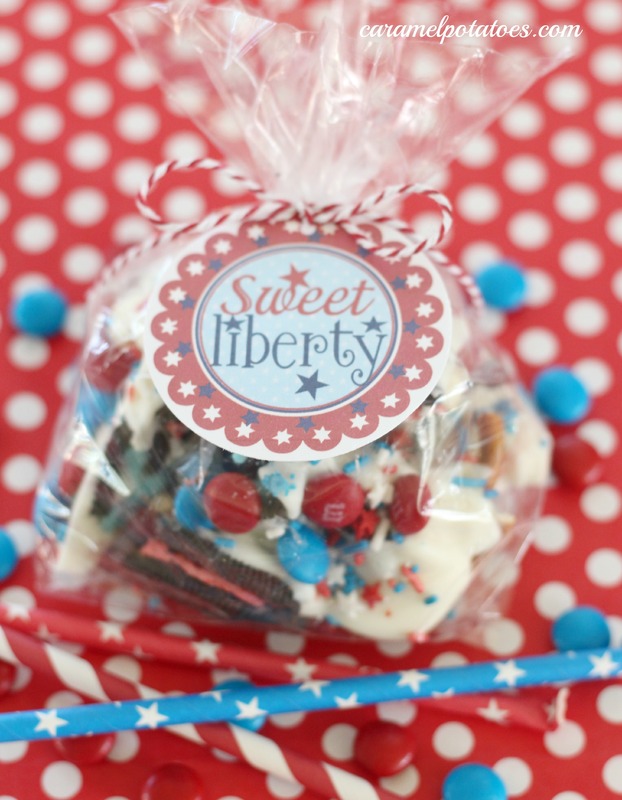 Don’t forget to wrap some up with this Sweet Liberty gift tag to share with friends and family. No matter who you share with, they are going to love it. Line a sheet pan (18 x 26) with a Silpat Mat or parchment paper. 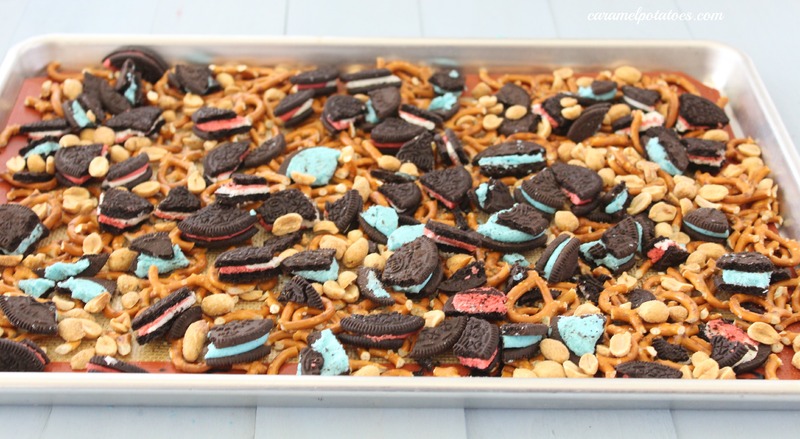 Spread Oreos, pretzels and peanuts on pan. 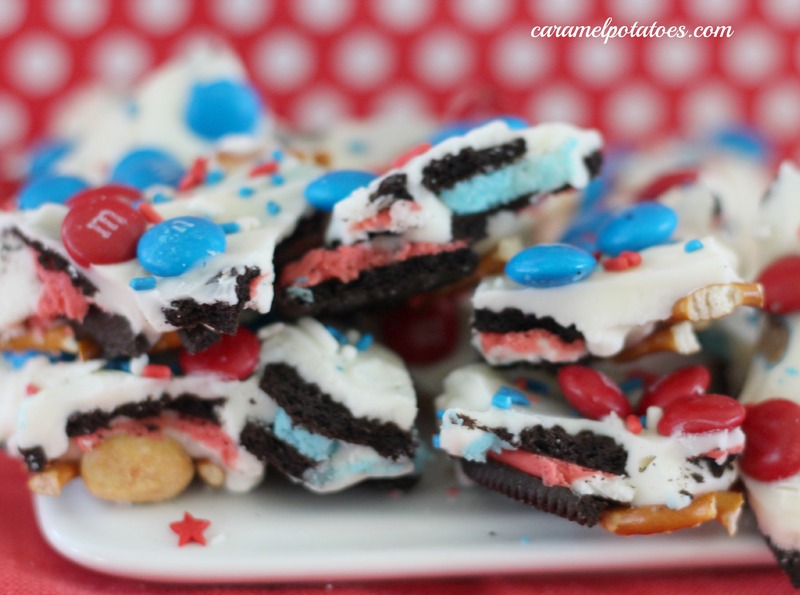 Melt candy bark in the microwave according to package directions. Pour/spread candy over the tray using a rubber spatula to make sure it seeps down and covers all the broken cookies, nuts, and pretzels. Immediately sprinkle with M&Ms and sprinkles. Allow to cool completely and harden for several hours (or place it in the refrigerator). Break into pieces and serve or package up for gifting. Ladies, this looks delicious!!! My kids would love it. I love the fun colors that peak through too. Thank you for sharing! Our Simply Create Link Party is starting tonight at 10:00 EST. We would love to have you link up this deliciousness! This is so cute. I love the tags! Can wait to give this for the 4th ! Hi! I found you through Saturday Show and Tell. I’m loving how festive these are! I also host a weekly blog hop that runs Sunday through Thursday. I’d love to see you there. So cute & sounds yummy! 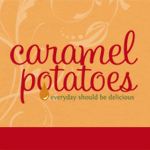 Thanks for sharing at Sweet & Savory Saturdays #17. I am hosting all my family for the 4th. This is perfect! Thanks for the recipe and tags! I’ll take any excuse to have some cookie bark! Thanks for sharing at Thursday’s Treasures, you’re being featured this week! Love these festive treats!!! The pictures alone get me in the mood for July 4th. Found you through the Thursday link up! Yum! Looks fun and delish! This is perfect for the parties this weekend! Thanks for sharing! Your post will be featured this weekend at One Sharendipity Place!! Have a great holiday! !